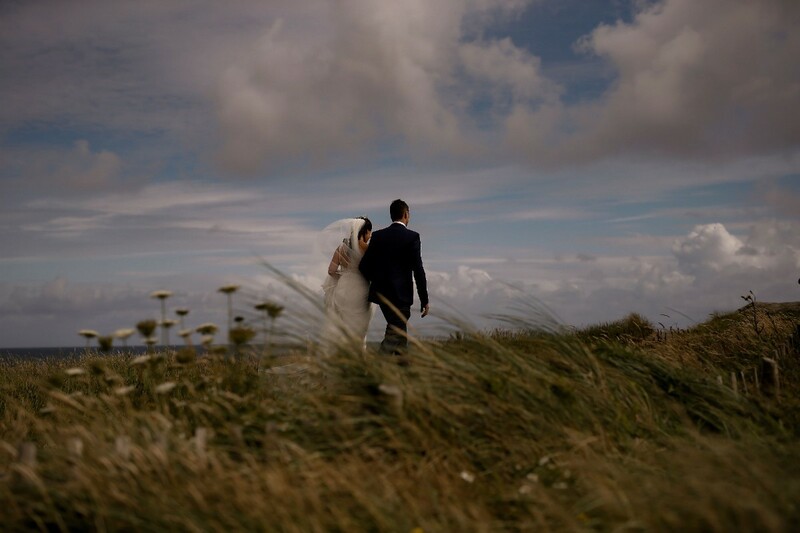 We are Alan & Bríd Golden, better known as Golden Moments Wedding Photography & Film. We have many years of experience working in close partnership with our wedding couples, planners and so many amazing venues. Having spoken with us and researched our style of Wedding Photography and Wedding Videography, you will be certain that you have chosen well, knowing that we will capture your wedding day to an exceptionally high standard. In advance of your wedding day, we will carefully discuss and listen to what your vision is and we will be delighted to share our experience with you. We offer both Wedding Photography & Wedding Videography, either separately or as a joint Wedding Photography & Videography package. Our contact page makes it easy to check our availability and if your date is free, you will receive our brochure with a price tailored to your wedding. We expect to respond to your query within a few hours but please don't set your heart on booking us as most dates for 2018 are reserved with 2019 not far behind. Our 2020 couples are making contact almost daily at this point in time (March). We also offer a full range of wedding albums and parent albums as an optional extra. If you are not sure but think you might like to explore the possibility of having your favourite images in print, to look at and feel and to pass down the generations, then we have a full range of studio samples for you to explore. But be aware, they are very tempting! If you would like an aerial context to your wedding movies and even to your wedding photography, then it's good to know that we are among the first commercially licensed drone permit holders in Ireland. This allows us to fly legally and with full insurance cover where most other operators may not, which means you do not carry any risk when working with us. And we will arrange flight permission with your venue so that's one less thing for you to worry about. "We provide stunning documentary wedding photography and cinematic wedding videography either separately or as a joint package "
Alan Golden is the photographer behind Golden Moments Wedding Photography & Film whose reputation for dynamic and original wedding photography & cinematography continues to grow. He works with a team of one or two other photographers and/or videographers depending on your requirements. 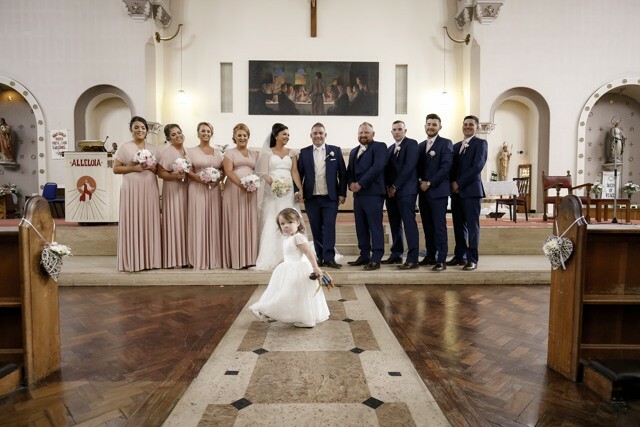 Alan will then edit your images and movies so you are assured of consistency and the dedication of a team working together to capture and display your wedding day to a standard that is among the best in Ireland. Bríd is the social media contact and 'in-house wedding planner'. If your date is available in our diary, she will provide you with your quote and will explain everything to you at a time that suits your schedule. She will ensure your wedding photography and movie capture goes exactly to plan and she is regularly seen at our weddings lending a helping hand. “Our goal is to tell the story of your wedding day in as unobtrusive a manner as possible, capturing the special moments that you will treasure forever, in a style you will absolutely love." "For us, wedding photography and videography is all about telling your story and capturing the biggest day of your life - your wedding day - a day which is unique and there will never be another like it. 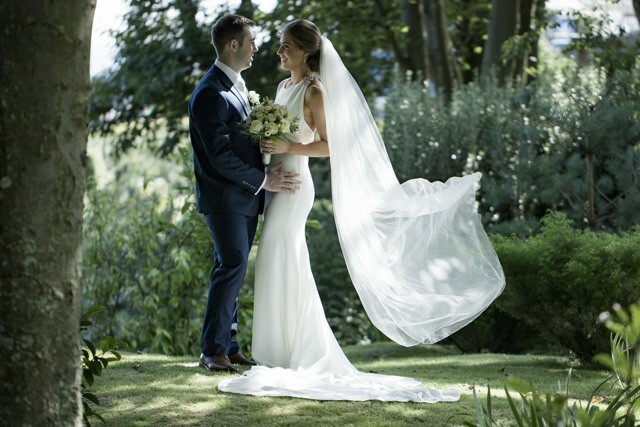 We find that as wedding photographers and wedding videographers, Faithlegg in Waterford is an ideal base to cover weddings throughout the local region and beyond into the stunning Irish countryside." Alan has decades of photographic experience built around a City & Guilds Photography degree so you can be assured your once in a lifetime wedding memories are in safe hands. His style of wedding photography & wedding videography is a blend of photojournalism and contemporary fashion inspired photography. This allows him to be unobtrusive when he needs to be but also will ensure that he can bring that special ‘wow’ factor to your wedding images and movies. Alan's photography has won many awards and has appeared in local and national press and many online wedding sites. See our FAQ page for lots more information. 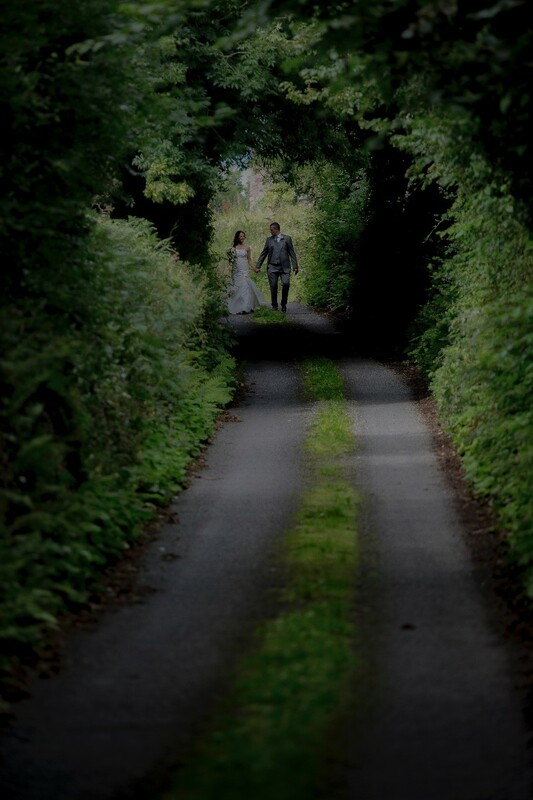 Golden Moments Wedding Photography and Film are Wedding Photographers and Wedding Videographers based in Waterford. Golden Moments Wedding Photography & Film are Wedding Photographers & wedding videographers from Waterford servicing weddings throughout the local area including Waterford, Dungarvan, Clonmel, Wexford and Kilkenny. Golden Moments Wedding Photography & Film are amazing Wedding Photographers & Wedding Videographers and has been part of the wedding industry since 2010 specialising in documentary style photography & cinematic style video. Jennifer and Terence's Wedding Highlights Movie from Golden Moments Video Productions on Vimeo. Karen & Ian's wedding highlights video from Golden Moments Video Productions on Vimeo. Maura and Doug's wedding highlights movie from Golden Moments Video Productions on Vimeo. I cannot thank Golden Moments enough. From start to finish, their professionalism was second to none. Alan captured such beautiful moments on the day that we will cherish and look back on forever more. Alan was so discreet that I honestly forgot that he was even there! The best decision we made with regards to our Wedding day was to have a Videographer. Even if it means stretching your wedding budget just do it and choose Golden Moments- you will not be disappointed. I would 100% recommend Alan from Golden Moment's to capture your wedding day. He is honestly the nicest chap you'll ever meet and so professional. He captured every little detail of our wedding and memories I'll treasure forever. When we got our footage I was so happy with the outcome. The highlights are my favourite. I couldn't thank Alan enough for all is help. Thanks so much for your really kind words Karen! I enjoyed capturing your day so much.....a class wedding from start to finish. Thanks for choosing Golden Moments Photography & Film. Golden moments were amazing! We are thrilled with everything. The guys were so accommodating to all requests for the run of the day. Great value for photo and video.. so delighted we decided to get video as well as pictures! Thanks guys, we loved capturing your day. It was an amazing family occasion with little Tadhg playing a big part. All the best. Brid and Alan of golden moments were our wedding photographers and we received our photos a few days ago. We couldn't be happier with them. I was anxious about the photography because neither me or my husband are comfortable getting our photo taken. We tend to avoid it at all costs. From the moment we met brid and Alan they made us feel comfortable and gave us both the direction we needed the get the amazing shots we ended up with. We really had no idea what we were doing and brid and Alan were so patient with us. I have no hesitation in recommending golden moments to anyone looking for a photographer that will make you feel relaxed and comfortable and give you amazing photos that you will cherish forever. Hi Jenny, Thank you so much for your really kind words. Your wedding was such a wonderful day in such a beautiful venue. It was our first time working in Beleek Castle and from the moment we arrived for our preliminary visit we knew it was going to be really special. Yourself and Leigh were a pleasure to work with. Thanks for choosing us to capture your day. Myself and my now husband got married in September and we picked golden moments for photography and videoagraphy. From the minute they arrived they made us feel so comfortable, I can honest say the day would not have been the same without them.. They caught all our funny silly moments in our video and captured the love we have for each other in the photos. I would recommend them to anyone. They helped make our day what it was. Thank you guys so much again ? Ah Jennifer what a day in Galway. 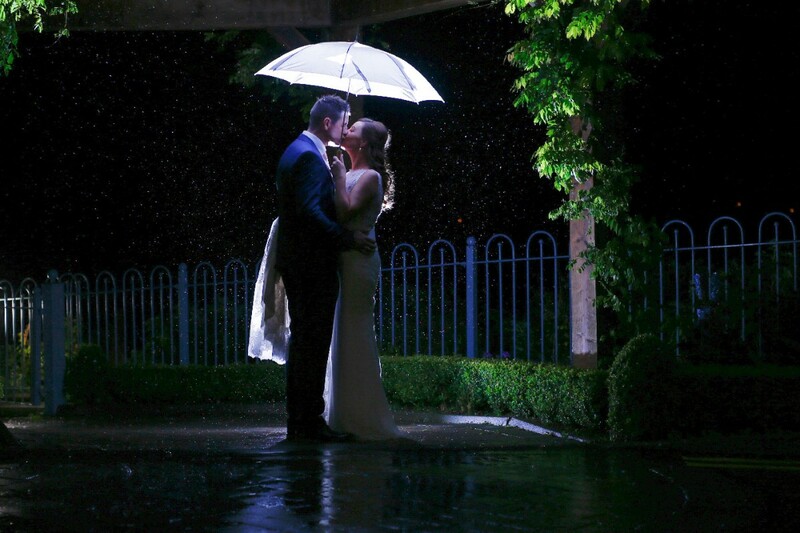 It may have been raining but the love and fun shone through. All the best to yourself, Stephen and all your families. Ah thanks for the kind words. We loved capturing your day and while the weather wasn't the best we still managed a little walkabout for some fun and fresh air. And what a venue at Kilshane House. Alan and Bríd were phenomenal to work with on our wedding day, having just received our photos we are blown away with both the quality and the precious moments that they managed to capture on the most special day of our lives. 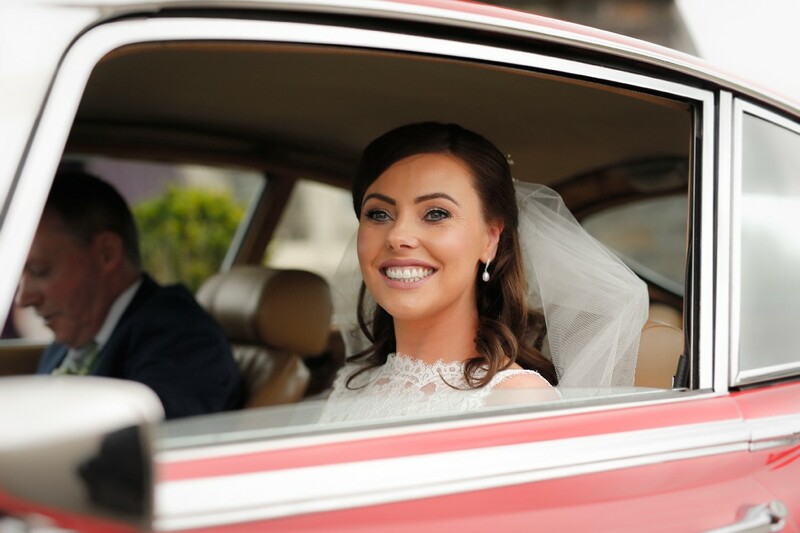 On what started a very rainy morning, Alan & Bríd arrived with cheery smiles and proceeded to calm and reassure a slightly stressed bride and they even brought the sunshine with them! All day they quietly captured shots that quite literally take my breath away when I look at them, the behind the scenes photos tell the story of the whole day and we’ll treasure the memories forever, thank you Alan & Bríd - you were brilliant. Hi Emma, thank you so much for your kind words. We are absolutely delighted your day went to plan, a plan that was very ambitious as you were taking on everything yourself and having your wedding at home. And you did it in style. Congratulations to yourself and Johnny. All the best. Alan & Bríd. Alan and Brìd made our day completely unforgettable!! They are such beautiful people who put so much time and effort into making sure your day is absolutely perfect! Initially I wasn't going to use a videographer and we only decided a few months before the Wedding to look for one-how they were available I really don't know!! Bríd is just so amazing to deal with and Alan is so incredibly talented!! The only regret I have is that I didn't use golden moments for photography aswell! Highly highly recommend!! Was honestly blown away by their work! Hi Siobhan, Daniel and boys, From all at Golden Moments , thank you so much for this review. The laughter and joy of your wedding day, throughout the all the generations on both sides of your families is one of our best memories of 2018! We took very seriously the choice of a photographer and for me it was even more important than my wedding dress. Choosing Golden Moments Wedding Photography & Film was one of the best choice we made. Brid was absolutely lovely to deal with, she carefully listened to what we wanted for our day. The professionalism we saw was above any expectations, even before the wedding when Alan contacted us to organize that day and to be sure we got what we wanted. His attention to details and organization even before the wedding made me feel so relieved because we knew already that we were in good hands. Alan was so friendly and professional that he made us feel so at ease and relaxed that we actually enjoyed every single moment. Once having seen the pictures, we realized even more that his attention to details and skills were really outstanding. We barely realized they were there and we have received such amazing natural candid pictures, exactly what we wanted. All pictures really communicate sth of that day, reason why it is very difficult to choose the best ones. And the video, omg it really seems we are watching a movie, we can relive all the emotions of that day. It is priceless! One year of planning a single day…and receiving such wonderful memories which will last forever. We are extremely satisfied!! Deborah and Francesco we absolutely loved capturing your wedding in Kilkea Castle. It really was the dream wedding. And to have two beautiful Italian families coming together at an Irish Castle wedding in glorious sunshine for an outdoor ceremony was an honour for us to be a small part of. How Alan captured the day is just amazing and we will treasure these videos. We were particularly delighted with the 5 minute highlights video showing the best of what was such a special day for us. Alan put us at ease straightaway and his eye for detail and capturing the different small but special moments is top class. Along with that it was great fun throughout the day too! Thanks again for everything! Thanks so much for your lovely review Alison and David. I absolutely loved capturing your day. Thanks for making me so welcome. I'm delighted you love your films. I would 100% recommend Alan. He was brilliant and I couldn't say enough good things about him. He did the videography at our wedding. Like a lot of couples we didn't think our budget would stretch to getting a videographer, we had decided not to get one but then after seeing a friends one we knew we would regret it if we didn't. I did a lot of research in relation to price and previous videos. I really liked Alan's style and then I saw examples which had a drone. He was the cheapest videographer that I could find that included a drone. Well to say we weren't disappointed would be an understatement!! Alan rang us about 2 weeks before the wedding to go through everything and check we were happy. From the minute we met him he was great, we barely noticed he was there on the day which is exactly what we wanted. Lots of our guests even commented that they barely noticed him. Even after watching the video back I had never realised that a camera was even present in certain places. Not only that but he is a very nice person and I hadn't realised how important that actually was until the morning as he was in reality a stranger that was part of our special day. He was such a gent from beginning to end. Then we got the finished product and we were delighted with it. We got a highlighted version of around 5 mins to share with our friends and then a longer version too to relive the whole day. The views he managed to get with his drone were something else! If your undecided about getting a videographer I would highly recommend it. While we love it now we know it will be even more important in years to come. With that in mind we would highly recommend choosing Alan in Golden Moments to capture your day! We can't thank him enough for our priceless moments that he captured! Deirdre thank you so much for your 5 star review. I had such a great time in Castletroy filming your and Eoin's wedding. To see you laughing and chatting as you walked up the aisle with your dad was a fantastic experience for not only me but for everyone there. How Eoin managed to keep looking straight ahead until you arrived must be a superhuman feat in itself :) Long life and happiness to you both. Alan & Bríd. It can be a very daunting experience trying to find good photographers on the lead up to your wedding. I had e-mailed a few that had been suggested to me but found them way too expensive and I had also contacted some I had researched myself but their response was very slow. As soon as I sent out a request to Golden Moments, Brid responded to me immediately and promptly replied to any queries I had. She met my fiancé and myself and went through all the choices we had to choose from and brought along wedding albums of different sizes and prices to show samples of their work. We found the price of our chosen package very reasonable and the option to pay in instalments up to the wedding date was a great help. Brid and Alan were very professional on the day and our guests commented countless times on how good they were. They were also very efficient in getting our photos edited and e-mailed to us, all within 72 hours. We would recommend Golden Moments to anyone looking for a professional photographer for any occasion. Ah thank you Ann and Chris. What a wonderful family occasion your wedding was in Mullingar. Smiles all the way from all the guests and family, so lovely to see. All the best to you both. Alan and Brid. Alan and Brid were very professional, and great to work with from the start. We would thoroughly recommend them. Alan was very patient with our little boy who was convinced he could do a better job! We are so happy with our video from Alan, he was so professional on the day. You barely knew they were there but looking back at video they captured every little detail! Would definitely have no problem recommending Golden moments to any future bride and grooms! Thanks a million Valerie! Your day was brilliant, really special and you had lots of personal touches that we were delighted to record for you to have forever. All the best to you both from us at Golden Moments. Alan. Alan and brid are lovely to deal with very friendly and professional. Alan is amazing at his job gets great photos without being in your face. For someone who doesn't like getting their photograph taken I was quite nervous to see what photos would look like and was very nervous coming up to the wedding about the thoughts of posing for photos. I was delighted to see how natural the photos were and they have exceeded my expectations. I would 1000% recommend Alan to any future couples. And I am so happy that we chose golden moments for our wedding. Really relaxed and non intrusive, Alan did an amazing job. If your thinking about a video get Golden Moments and if your not I would definitely say to you think again they are great for memories. Hi Noreen, Thanks so much for your lovely comments and for your call to thank us after you received your videos. It was such a pleasure to capture your day....magical from start to finish! Absolutely delighted with our wedding video from Alan in Golden Moments. Right from the first dealings with Brid to saying goodbye to Alan on the night nothing was ever an issue and everything just went so smoothly. We really wanted someone who wasn’t too intrusive but got the little moments that we can look back on forever. So happy we decided to go with a videographer in the end. Something we will have forever.Alan is just a pleasure to deal with and we can 100% recommend to any couple thinking of booking. Thanks Leona for you kind words, I really loved capturing your wedding day. Alan was an absolute dream to work with!!! He is so encouraging and really makes the whole day so easy for the couple! We absolutely love our video and all of our friends and family are blown away by our sneak peek video too! He really captured all of the emotions and feelings of our big day. We wouldn't hesitate to recommend him to future brides and grooms! Thanks so much Louise. It was such a pleasure to capture your day and create your videos. I'm delighted that you are all enjoying reliving your day! I enjoyed every second of your wedding day. Ah Rachel & Ian we were delighted to be able to offer our services. I really enjoyed the day and both you families made me feel so welcome, it was a pleasure to capture your day. Chat soon. Alan. My wife and I couldn’t be more pleased with the shots that Alan from Golden Moments Photography took on our wedding day. Throughout the occasion, he was kind, patient, flexible and professional. He listened carefully to what we wanted, was well-prepared and produced some very special photographs. I would give him my highest possible recommendation. We had the pleasure of dealing with Alan Golden Photography and his Videograpger Paul. What a wonderful service,from the minute Alan we knew that this was going to be magical,his fine art to detail,the samples he provided and his easy going manner,but yet so professional. On our wedding day we didn't even know himself or Paul were going about there business, made us feel so relaxed and low and behold the pictures and the video are flawless. Excellent work. Great offers on his packages,we went with the photos and video,memories for a life time. Thank you Alan, Bríd and Paul. Thanks Ann Marie for the wonderful review. 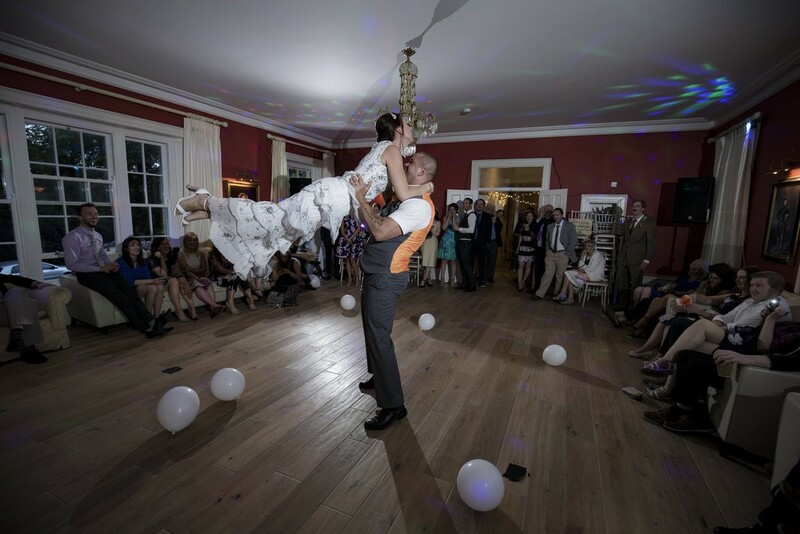 We loved capturing both photo and video at your wedding. What a great day it was, a brilliant family occasion for you both and also for the kids of course. All the best. Alan. Alan made the most beautiful and sentimental wedding video we could wish for. From the overhead video footage to how amazing our video was put together it was such a perfect live story book of our most amazing day. Couldn't recommend Alan highly enough and he's an absolute gent! Danielle & Fergus thank you so much for choosing Golden Moments for your wedding videography. What a day it was! Thank you for your kind words and best wishes to both of you. Alan. Married 1 month to the date and we got our fab photographs .. honestly could not recommend Golden Moments photography enough. From day 1 we were left at ease with such professionalism and expertise! They went above and beyond for us and honestly we could not have asked for better! Living abroad meant picking the right vendors was going to be crucial in ensuring a smooth transition throughout the day! They even kindly brought their camera out to the hospital where we were visiting my partners nan who is very dear to us all! That incredible gesture to videotape that moment really made our day as she is very special to us and to have that moment forever more you just cannot put a price tag on that! For our very DIY wedding, our photographer was the one aspect we took very seriously, and we considered our choices very carefully. What we saw on the website and in the brochure was exactly the standard of excellence we got - we could not have asked for anyone better! Alan was professional, obliging, helpful and friendly from the first phone call, through our practice photoshoot (which he travelled for, without complaint), through the entire wedding day, and throughout all our interactions with him. Alan, unasked, went above and beyond taking on the role of our unofficial timekeeper on the day, keeping things moving along and keeping an eye on the weather so that we got all the photos we wanted, and so much more. As promised, he completely blended into the background so that we mostly forgot he was there, making it truly amazing when we saw the photos of how many special moments he captured. Alan didn’t miss a thing, and we are so grateful that he managed to think of everything - from taking it upon himself to seek out the wedding dress, suit and rings to get some fantastic pictures while all the madness went on with preparations, to documenting the beautiful grounds and all the homemade decorations, to chatting with guests and capturing even the most camera-shy in his natural, documentary-style that we love. We particularly loved the action shots of the first dance. The digital photos were ready for us within days, meaning we could share them with our families before we flew back to London. We have absolutely nothing but praise for Alan and would recommend him to anyone and everyone, for any occasion. Incidentally, he also pretty much saved the day by figuring out our sound problem - what a hero! We would highly recommend Golden moments. We booked Alan last minute to do our wedding videography and we are so glad now that we did. Alan was so brilliant from start to finish, he was so professional and did a better video than we could have ever imagined. His wife Brid was really kind and helpful also, their attention to detail was superb. We really couldnt fault them.. Our families and friends are still talking about how relaxed and easy going they were when providing the service. Alan made us feel so comfortable throughout the day, his years of wedding photography experience shines through on the day. Do not hesitate to book golden moments they are excellent. I can't recommend Alan & Brid highly enough! We were all made to feel so comfortable throughout our day & often didn't even know Alan was taking shots! 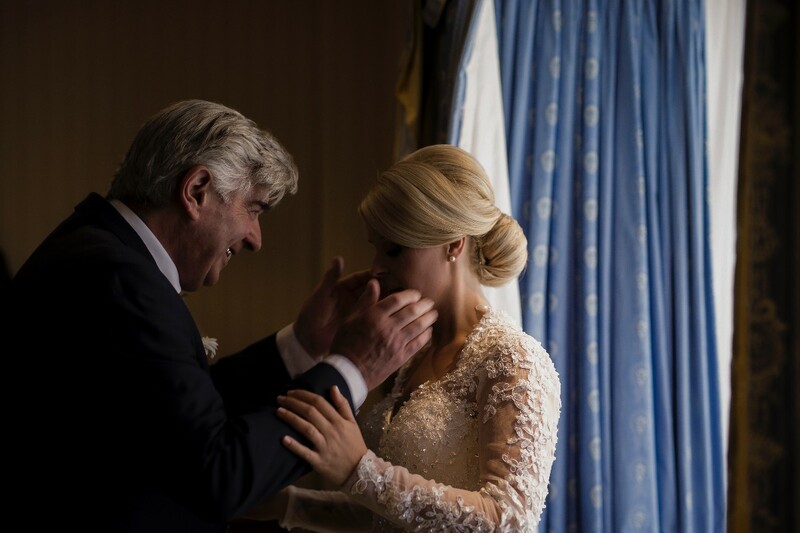 Alan & Brid have the perfect mix of professionalism & sincere warmth. We have already received a sneak peak of some of our shots and they are magical! Alan has an amazing eye for detail & sensing the perfect shot - together with Brid they make an amazing team, bringing laughter, a relaxed atmosphere and a lovely sense of warmth & sincerity to our day! Highly highly recommended! Throughout the process from "showcasing" his work, and getting a feel for us and the day we were planning, to presenting us with a beautiful album, Alan and Brid were calmly and efficiently working away to create an everlasting record of the day. Many excellent images were captured, but their contribution felt like more than just stunning photographs. We would have no hesitation recommending Golden Moments Photography. 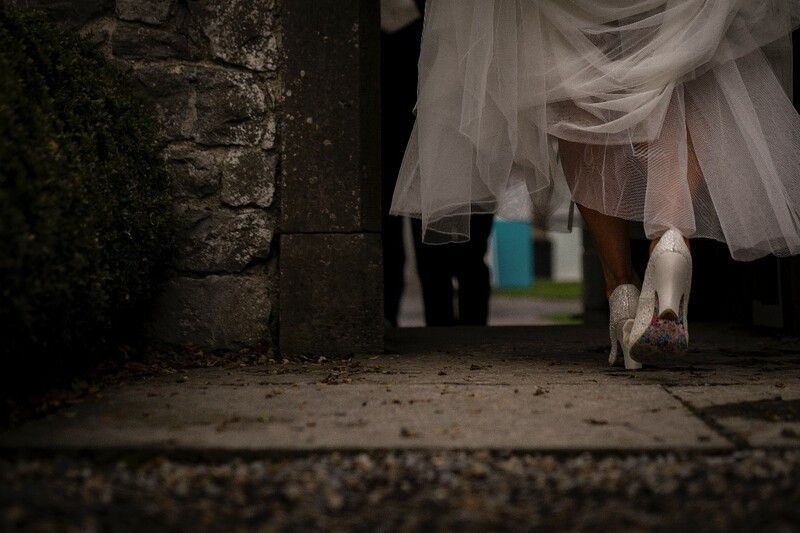 Thanks Maggie & Jon, we absolutely loved photographing your wedding at Langtons in Kilkenny. So delighted for you both. Maggie you looked stunning and the occasion really did match our expectations of such a classy couple. All the best, Alan & Bríd. From my heart, I can give nothing less than 5 stars across the board to Golden Moments. I only decided to get a video less than two weeks before our wedding, and we were so lucky to have gotten in contact with Brid and Alan. We had the most prompt and friendly communication with Brid throughout the process, and on the day Alan and Peter were lovely to work with, and to be honest we didn't even realise they were there for most of the day! We also received a very very reasonable and competitive price, especially when you consider the very high quality of video and service we received. The drone footage we saw was breathtaking, and considering how little we noticed the videographers on the day, the amount of really special moments they captured was amazing, and our highlights video brought me (and many of our family and friends) to tears of happiness. I would advise anyone who is unsure about a video to get one if you can fit it into your budget, looking back now I am so so so glad to have our memories on video- and I would recommend Golden Moments 100%, the whole experience we had with them was just fantastic! Hi Triona, we are absolutely delighted to have been able to play a part in capturing your wedding day. Yourself and Sean are such a gorgeous couple, it was our privilege to be a part of it. Alan & Bríd. Ah Rebecca, what a joy it was to capture you and Chris on your wedding day. Such deep happiness and joy radiating from both of you, it was our absolute pleasure and honour to be part of your day. All the best. Alan & Bríd. Alan was an absolute pleasure to deal with from start to finish, a complete professional and equally as friendly and approachable. The photos and video captured the atmosphere of the entire day from start to finish and we couldn't have been happier with the end product. I have sang Alan's praises to everyone who enquired about our photos and video and couldn't recommend him and Golden Moments Photography highly enough. Thank you so much Alan. Elaine what a fabulous day yourself and Colin had. The walk around Kilkenny Castle was very special and you rocked Hotel Kilkenny with your entrance. Thank you sincerely for your kind words. Alan & Bríd.